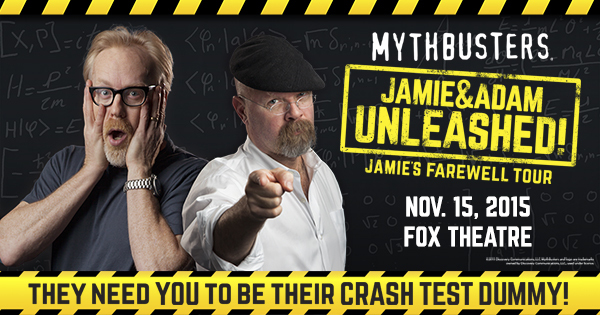 We’re giving away a pair of tickets to see Jamie Hyneman and Adam Savage, co-hosts of the Emmy-nominated Discovery series Mythbusters live at The Fox Theatre in Atlanta for one night only on Sunday, November 15 at 7PM. This will be a fantastical night filled with on-stage experiments, audience participation, exciting videos, and behind-the-scenes stories. Fans can join Jamie and Adam onstage to assist in their mind-blowing and mind-twisting approaches to science! Fill out the form below to be entered to win. We’ll contact the winner this Friday, October 2nd! Tickets are $29.50 – $121.50. Mill Town Music Hall talent to star on this season of ‘The Voice’!